How to Keep Email Newsletter Clicks & Readers on the Rise – It Really Works! 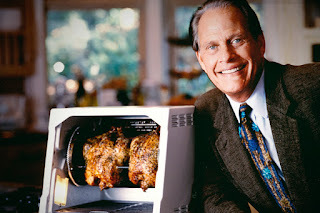 Do you remember Ron Popeil, the inventor/marketing personality and founder of Ronco Inc? He was widely known for his late-night infomercials for Chop-O-Matics, pasta makers, food dehydrators and rotisserie grills. Ron also held the trademark for the well-known phrase, “set it, and forget it.” To set and forget about something is a desirable concept, however, while it may work for rotisserie chicken, if you’re setting and forgetting your email newsletter, your sign ups, readership, and open and click through rates may get chopped, Veg-O-Matic not included. Creating a persona for your target audience is like giving away a free set of knives with purchase; sounds silly, but it’s really successful! The more you target and hone in on your audience, the more you’ll understand what they want out of a newsletter. Take theSkimm, for example. It’s a new daily newsletter written by two female journalists, containing brief and informative news headlines written in a relatable tone, geared towards young, busy professionals, specifically women. Two housemates, friends and former news producers at NBC created the wildly successful newsletter, which quickly topped 100,000 readers and growing. In this article/interview with Mashable, the creators, Carly Zakin and Danielle Weisberg stated that they identified a need by a specific group. “We saw that our friends — primarily our girlfriends — would come to us and say they were too busy to find out what happened in the world today,” said Zakin. “Our marketing strategy will continue to hone in on our target audience — leading millennial women,” Weisberg said. There’s more to email newsletter analytics than the number of opens and clicks you receive. Taking time to dig deeper into your readers’ behavior will open your world to a plethora of knowledge about their reading habits and desires. The knowledge you obtain should consistently shape and evolve your newsletter into a successful machine. When Ron created the Chop-O-Matic, he didn’t stop there. Shortly after came the Veg-O-Matic and the Dial-O-Matic. Why? Because he consistently evolved his products to meet his customers’ needs. So what should you look for, specifically, in your email newsletter? Link Types – What types of links are your readers clicking? Are they clicking on call-to-action buttons, headlines, images, or text links more often? Take a little extra time to add tracking codes on each individual link so you can see in your reporting, what types of links are getting clicked on the most. It’s fairly easy; all you need to do is add a question mark and some text at the end of each URL. When deciphering VR Buzz newsletter analytics (which has a readership of 500K+), I discovered that VR Buzz newsletter readers prefer to click on 1) Headline links 2) Text links 3) Call-to-action buttons 4) Banner ads. I never would’ve suspected text links would be popular since they’re not large, but time and time again, the results don’t lie! I began to include more text links in the VR Buzz, and what do you know? The click through rate rose. Content Trends – What content is resonating with your readers and what topics are the most popular? Look for trends. Are readers clicking on tutorials, guides, videos, blog posts, promotions, updates, events, or recipes more often? Are posts about say, face wash products, more popular than hair care? Do people click on dos and don’ts posts more often than how-tos? If blog posts about dog grooming are booming, put them at the top of your email newsletter. If your upcoming events are stealing the click-through show, include them more often and near the top of your newsletter. Are people going click crazy on your social media icons/pages? Move ’em up or make them more prominent. Use this information to guide the direction of your content for each newsletter going forward. Location of Clicks – Are your customers clicking on any of the content, buttons or links below the fold of their monitor screens, or not as often? If not, your newsletter may not be maximizing the user experience. Including a table of contents at the top of your newsletter may help guide customers all the way though from top to bottom. Use the pre-header as a secondary subject line and talk about the content down below. Are your readers only clicking on headlines? They may be strapped for time, or simply want to get to the source. Use this particular information to make it easier for them to get to the content they want. Once you get a feel for your readers’ behaviors and trends, use this to your advantage and evolve your newsletter design. 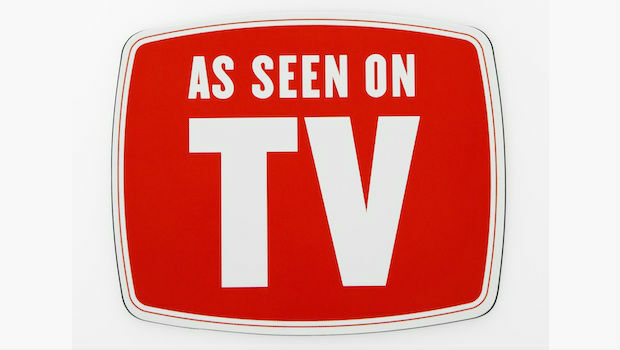 Is your logo at the top large and pushing valuable content down? Make it smaller. Remove unnecessary white space in your header, or nix your intro if it doesn’t include links. Do your customers click on text links? Include clickable headlines, make them big(ger) and/or more prominent. Are readers not clicking the content below? Include a short table of contents and anchor link them directly to each post. Are your article sections lengthy? Make them smaller and use a template with no more than two columns per design (to keep mobile in mind). Are text links not getting much love? Try including call to action buttons to each section instead, or in addition. Here’s an example of how we updated the VR Buzz from 2011 to 2014. We removed the introduction and the side columns, brought content right up to the top, condensed the table of contents, added more visually pleasing images and more. BONUS! Segment Your Lists: Because you’ve been such a great reader, I’m throwing in a bonus tip for free! Here goes: Segment your email newsletter lists and watch your most engaged readers’ content consumption closely. Create an “Engaged” list specifically of people who regularly open and click your newsletters (you can easily do this in your VerticalResponse account). People who actively read and click are like eager infomercial callers; they’re ready to shop …for your content, and now! So while it’s tempting to take Ron Popeil’s advice, don’t “set it and forget it” when it comes to your email newsletter. “Act now!” so you can ensure readers they’re receiving the best Email-Newsletter-O-Matic out there. #DIGITAL: How to Keep Email Newsletter Clicks & Readers on the Rise – It Really Works!